Tehama Veneerstone: about 28.5 sf. of stone veneer. 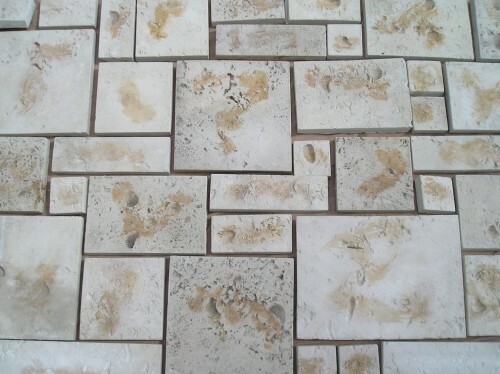 Cement product that looks like coral stone or limestone with fossils. The color is right on, blushed with russet tones. Apply to substrate with type S mortar and you have a beautiful wall. Square footage is calculated with half inch grout lines. An amount like this is just enough for a small project, but too costly to order from the manufacturer due to shipping and delivery charges. Dream up a project and snap up this offer. Come get it yourself and save even more. Regularly sells for $8/sf. Take it all for $195.